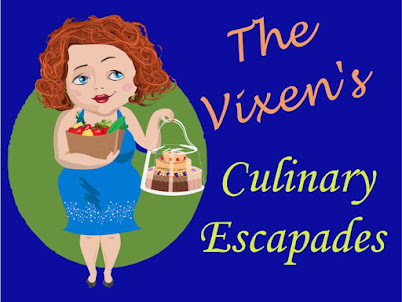 Welcome back to this week’s edition of Memoirs of the Forty Something Fat Chick. For those of you who’re visiting for the first time, I’m Tammy…The Fat Chick. Each week I share a bit of my journey to get healthy. As an over forty woman, I’ve had to deal with many issues I never dreamed of having to deal with when I was a teenager or in my twenties. What other age group has to deal with bladder control issues, loss of hearing, vision, and hormones raging out of control? 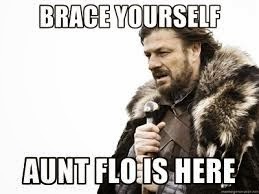 Speaking of hormones, which one of my ancestors pissed off the wrong deity causing me to be cursed with both “Aunt Flo” and hot flashes? I mean, give me a BREAK! 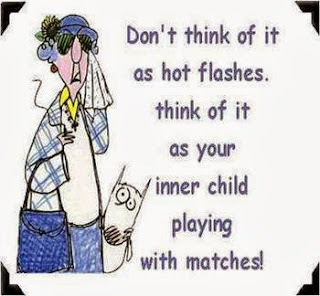 It’s bad enough to have the monthly terror, but to have to suffer with hot flashes too is just beyond cruel. The political correct term for this “condition” is perimenopause. To me, it’s the Devil’s Teeter Totter. First you’re hot, then cold. One minute you’re on top of the world, and the next you’re in deep despair. Everything is sunshine and roses, and then it’s all gloom and doom. 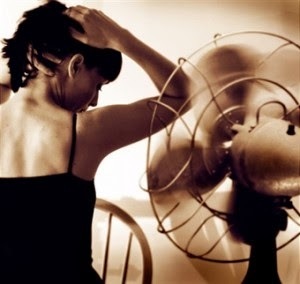 Having had to deal with being teased with menopause for the last TWENTY years…yes, twenty, I’m used to being slammed every month with this chaos, but nothing prepared me for the intensity of the raging inferno that is my body at forty six. 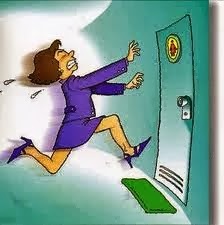 I’m a bit scared to find out what’s going to happen when I do actually start full on menopause. At the same time, I look forward to it. I’ll deal with the carrying my own portable fan around as long as “Aunt Flo” is kicked to the curb! Yesterday, while in full on busy “Dr. Tammy” mode, I was hit with a flash so intense, I nearly blacked out. My skin couldn’t get rid of the heat fast enough and turned a nice cherry red. Lucky for me, the owner of the cute little kittens I was trying to examine recognized what was “attacking” me…besides her fur balls. She’d been through chemo the year before and had suffered from these buggers the entire time. Immediately she grabbed a magazine and started fanning me. Her husband joined in too. The three of us laughed until I damn near pissed my pants. Gotta love my clients! Oh yes, back to the raging furnace that’s awakened in my innards now in my forties. 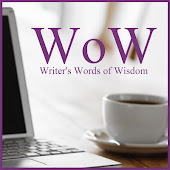 I found a fun video featuring this very subject and it’s the inspiration for the title of my blog post today. She touches upon all the mess running through my body right now. Instead of lamenting the pain in the backside perimenopause has become for me now, I’m going to embrace it and celebrate the roller coaster of hormones zipping through me. What better way to do that then to DANCE! So there you have it. I have a new dance to help me get through the hot flashes and give me a great cardio workout to boot! Until next week, my fellow flashers!